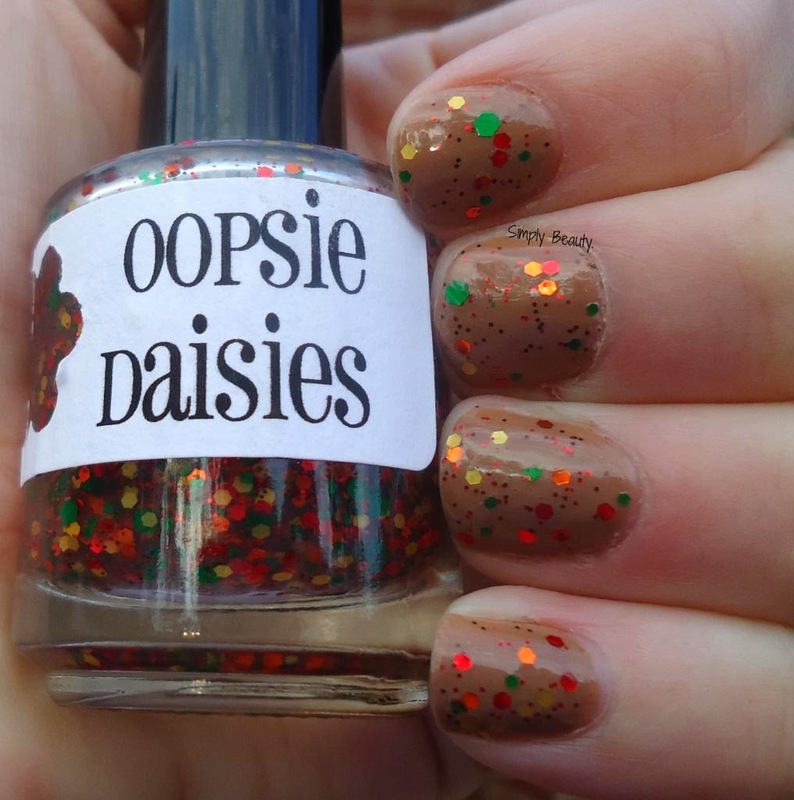 In honor of that, I have my first official Fall indie polish for you today. Here's 1 coat of 'Apple Picking' from Oopsie Daises over Zoya's 'Flynn '. 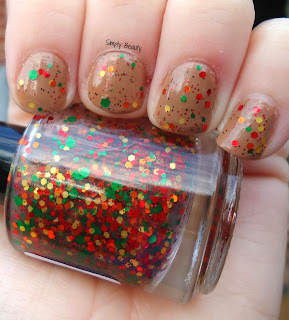 and medium sized orange, yellow, red, & green hex glitter. 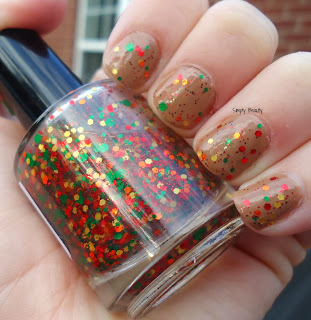 It's perfect for Fall, and I really loved it over' 'Flynn'. and it applied awesomely- no toothpick to dig glitters out here! Such a cute fall combination! perfect fall mani. yay for my favorite season! !